That is a question that I ask myself frequently. Luckily there is a solution. 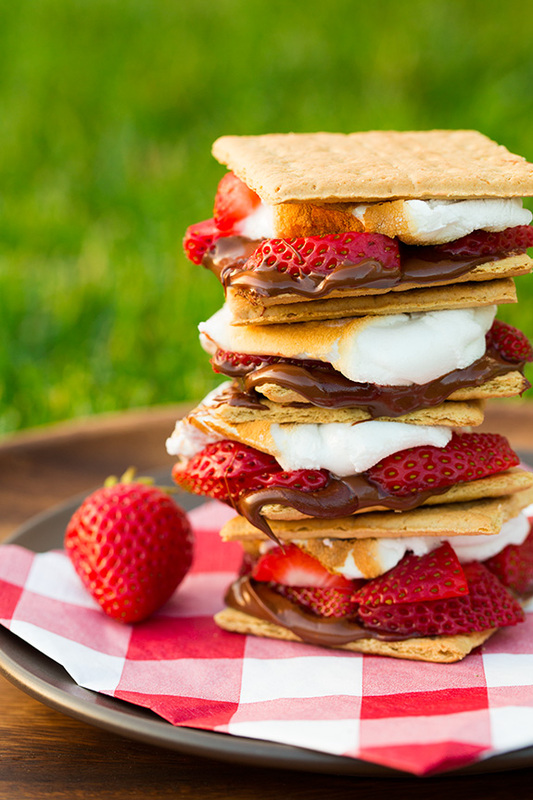 Make a bunch of s'mores! This is true even in the winter time. Some of my favorite memories from growing up were making s'mores in our fireplace. My sisters and I couldn't wait for it to finally grow cold enough (or my parents grew tired of us asking) to build a fire. Once the fire was built we couldn't make s'mores fast enough. Build a family tradition of cooking s'mores together by the fire. Don't be afraid to be creative with it. Playing with your food can be a great time. On days off from camp during the summer, Heartland staff has been known to have a s'moregasbord. The staff bring anything and everything that can be added to a s'more. All sorts of type of chocolate; Reese's Cup, Kit-Kat, Cookies and Cream Hersheys, and dark chocolate. Sauces and spreads like Nutella, peanut butter, and caramel. It went even further with things like animal crackers and cookies. Though some s'mores were better than others, the ability to be creative with what we ate was always a great time! 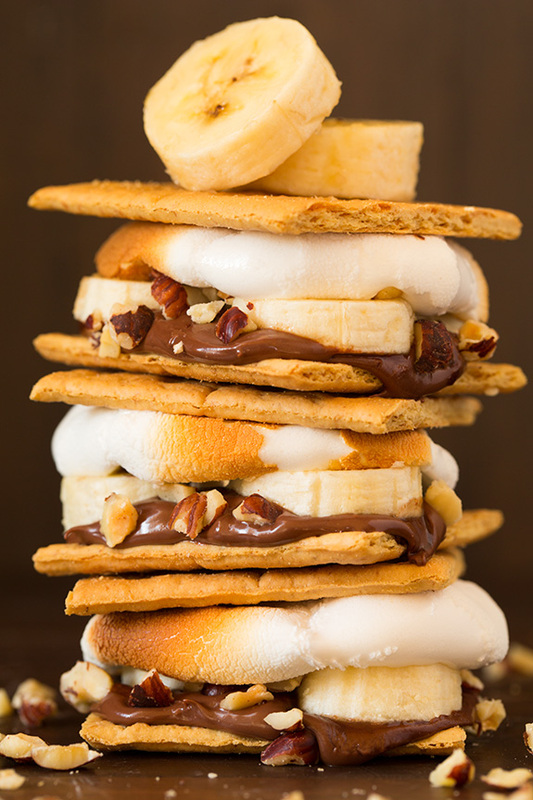 Enjoy these creative s'mores ideas or come up with your own signature creation and let us know about it! 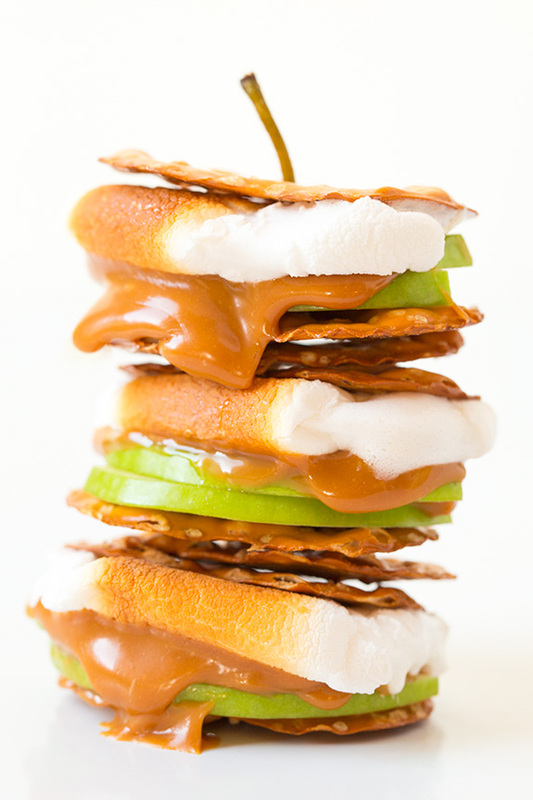 Enjoy this easy twist on a s'more. You will never go back to the original! These s'mores are worth the effort. They taste even better than they look! Yes, this s'more is as simple as it sounds so it doesn't need a recipe. What it is lacking in complexity it makes up in flavor. The best part is it is so simple anyone can make it! What if I don't have a campfire or fireplace? If you aren't able to roast your marshmallows over a fire this winter there are still plenty of ways to enjoy a s'more. These s'mores still have all the gooey, melty deliciousness of a s'more roasted over the fire. 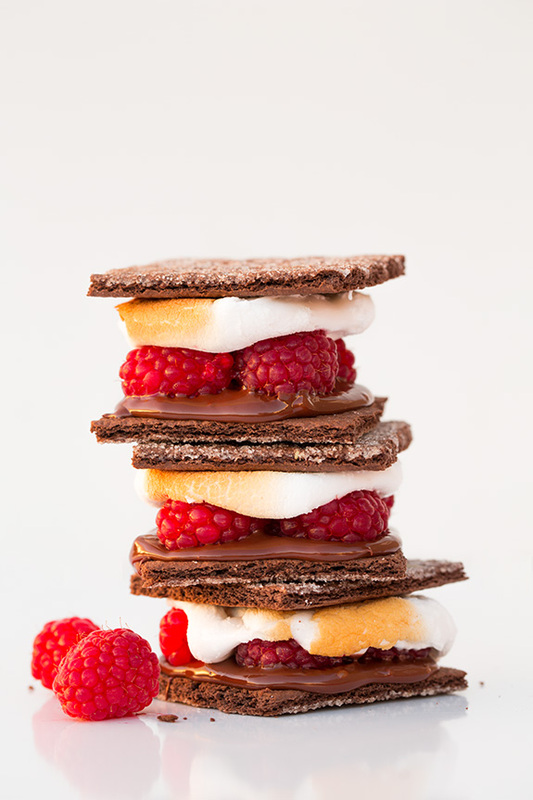 The best part about these s'mores is that all ages can help put them together! What a great way to get the whole family in the kitchen! Last but not least these simple s'mores do not even require an oven. Ready in 10 minutes they are great for a family dessert or for your next Christmas party. Enjoy your s'mores and we will try to save you one next summer!